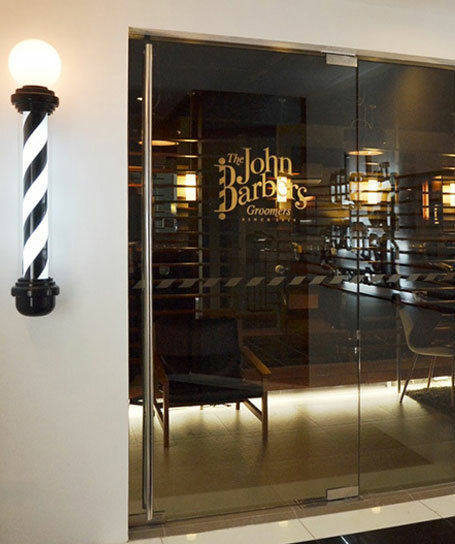 The John Barbers Groomers brings you the very best of Luxurious Relaxation and High Class Grooming. We’ve been in the haircut, hair grooming, beard grooming, and styling industry since 2014—before the mainstream commercialized men’s barbershops popped up all across Metro Manila. But what makes us stand out from the rest is our elegantly designed locations and high-quality grooming services. Our expert staff have been trained abroad, so you’re sure to get the world-class experience when it comes to grooming and hair styling. Our locations are in Makati City, the business district capital of Metro Manila, Philippines. Don’t settle for the ordinary. You deserve a high-class haircut and grooming experience offered by John Barbers and Groomers. Our locations are in the prime spots of Makati City, the business district capital of Metro Manila.